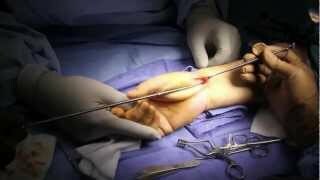 Upper Extremity Surgical Amputation Procedure. 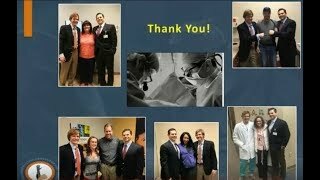 When we live streamed from the operating room, our viewers had lots of questions about the surgeries being performed. Our orthopedists have responded with all the answers. 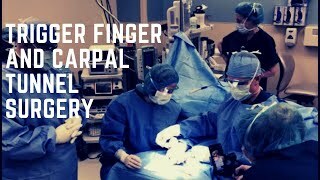 OrthoCarolina stepped inside the operating room to live stream a trigger finger and carpal tunnel surgery. We think about stretching our backs, massaging our necks and taking care of the part of our bodies that work that hardest, but hands can be overlooked. A specialist offers three ways to give your hardworking hands a little TLC. The result of overuse, trigger finger is a common but extremely painful condition that can cause the catching, locking and popping of the painful finger. 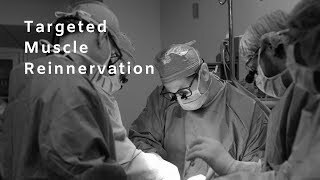 The OrthoCarolina RCLL Visiting Professor Program is designed to allow surgeons an unprecedented opportunity to advance their learning and understanding of advancements in the care of upper extremity amputees. 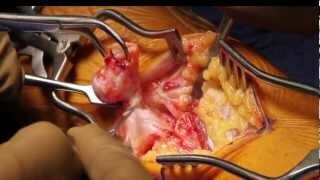 Please note, this video includes some graphic scenes associated with the teaching process of orthopedic surgery. Thank you. Joining our Hand Center, Dr. Michael Gart specializes in plastic and reconstructive surgery of the hand. Explore pioneering medical breakthroughs changing our lives and meet the doctors behind them. On the front lines of your health are tales of desperation, determination and human triumph-from a safer way to manage pain after surgery to groundbreaking techniques that make surgery unnecessary. Targeted muscle reinnervation is an evolving technique that improves control of myoelectric prostheses and can prevent or treat symptomatic neuromas. Each year, Charlotte magazine releases a list of Top Doctors in Charlotte and we're proud to have 17 OrthoCarolina providers represented as the best in the city. In 2013, Jenn Andrews’ focus was on her first pregnancy and a little self-care, when a pedicure technician felt a small bump on Jenn’s foot. What seemed so trivial that day would become so important later. That bump was a tumor – myxoid sarcoma, a rare and potentially life-threatening form of cancer. Despite an initial attempt at removing the tumor, it eventually came back, and now Jenn faced a daunting choice five years later: She could cure the cancer only by losing her foot. What is possible if two dedicated doctors come together with an idea to help people who have lost fingers use “their fingers” again? For Eddie Chapman, it means he can tie his shoes. See the full story from WTVI/PBS. Just 10 months ago, Tiffany Johnson and her husband were snorkeling in the Bahamas when a shark attack changed her life forever: “He had my whole arm in his mouth.” NBC’s Kerry Sanders joins Megyn Kelly TODAY to tell her tale of survival. OrthoCarolina physicians have been selected through work completed at the OrthoCarolina Research Institute (OCRI) to share research results in ten different podium presentations at the American Academy of Orthopedic Surgeons (AAOS) Annual Meeting. A bionic limb is giving hope, and control, back to shark attack victim Tiffany Johnson. Source: CNN. Individuals who have amputations address a variety of daily challenges that can significantly affect their lives, including general health and wellness, mobility, independence and more. Allow us to introduce you to some of the most clever visionaries around town. OrthoCarolina hand surgeons Glenn Gaston, M.D., and Bryan Loeffler, M.D., pioneer a targeted muscle reinnervation surgical procedure to help amputee patients like shark attack victim Tiffany Johnson. 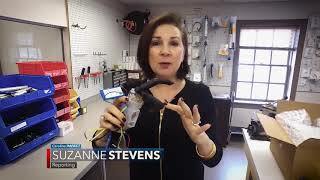 In this web extra, meet the doctors who are giving her a prosthetic arm so she can return to life and her routines. Dr. Glenn Gaston and Dr. Bryan Loeffler were recently honored by the American Academy of Orthopedic Surgeons (AAOS) for their research on advancements in upper extremity amputee care at the 2017 AAOS Meeting in San Diego, CA. 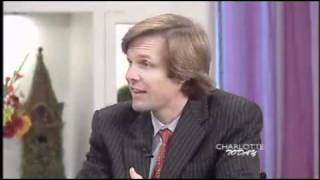 Good Day Charlotte's Jason Harper and Page Fehling talk with Dr. Gaston and Dr. Loeffler about saving the life of a local shark bite victim. Tiffany Johnson remembers every second of the shark attack that took most of her right arm. Targeted muscle re-innervation (TMR) is a surgical procedure which involves transferring amputated nerves to activate the remaining muscles in the limb. Targeted muscle re-innervation (TMR) is a surgical procedure which involves transferring amputated nerves to activate the remaining muscles in the limb. This has been shown to be an effective way to cure or prevent neuroma pain (sometimes called "phantom" pain). The surgery also allows enhanced control of myoelectric (sometimes called "bionic") prostheses to perform new functions since there are more muscle signals available in the residual limb. 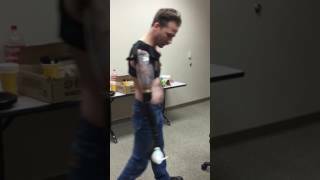 For upper extremity amputees, this can mean far greater control of the elbow, wrist, and hand when using a myoelectric prosthesis. Friday will mark three weeks since Tiffany Johnson lost her arm in a terrifying shark attack in the Bahamas. 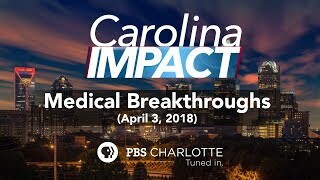 Dr. Bryan Loeffler from OrthoCarolina discussing the revolutionary outcome and amazing future for Tiffany Johnson via her targeted muscle reinnervation surgery. "There's a new surgery, and it's call targeted muscle reinnervation," said Dr. Glenn Gaston of OrthoCarolina. What is Targeted Muscle Re-innervation (TMR)? The physicians of the OrthoCarolina Hand Center are orthopedic surgeons who have pursued additional hand and wrist surgery training at the fellowship level in order to provide you with the most up-to-date and comprehensive treatment. In combination with our trained hand therapist and medical staff, they are ready to provide the very best in both surgical and non-surgical evaluation and treatment and have become a center of excellence for the Charlotte area in the treatment of hand problems. Femoral acetabular impingement and hook of hamate injuries are on the rise in NASCAR pit crews according to new research presented at the 2017 NASCAR Summit in Concord, North Carolina, on January 10, 2017. 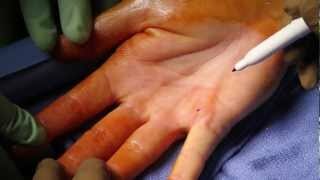 An epidemiological study of 118 upper extremity injuries in NASCAR pit crews tracked over a 10 year period shows a surge in hook of hamate (a bone in the palm on the small finger side of the wrist) hand injuries in particular among changers and carriers. Femoral acetabular impingement injuries have increased among rear tire changers, according to research done by OrthoCarolina Hip and Knee surgeon Dr. Walter Beaver, who also serves as head team physician for Hendrick Motorsports, and Bill Heisel, director of the OrthoCarolina Motorsports program. The OrthoCarolina Brachial Plexus team recognizes the importance of treating the entire patient and not just the affected limb. Any sport will cause wear and tear on the bodies of athletes over time, but for a NASCAR pit crew, roles on the team can play a big role in the type of injuries they face. Fast fact: As of 2013 there were 3,000 published injury studies on football, 1,000 each on baseball and basketball, 140 on bowling, 43 on arm-wrestling and 7 on tug-of-war. NASCAR injury studies? There were 3. When Should I Change My Running Shoes? We know, we know, running shoes aren’t cheap. But, as you use your shoes, mile after mile they eventually begin to lose their cushioning, stability, and shock absorption. Mastectomy is a common treatment for women with breast cancer. Some patients that need a mastectomy also have to have other lymph node tissue removed from the axillary (armpit) region on the same side that the breast tissue was removed from. One in ten Americans will have Dupuytren's contracture, so many of us will have a friend or family member affected by it.